Tko, the last EM made by Gottlieb. WIP for 9.9. Ha, dang that looks familiar! I'm currently working on a vp10 version of the same table. Looks like you have somewhat cleaner table image than what I have. Was actually finishing up table layout tonight. 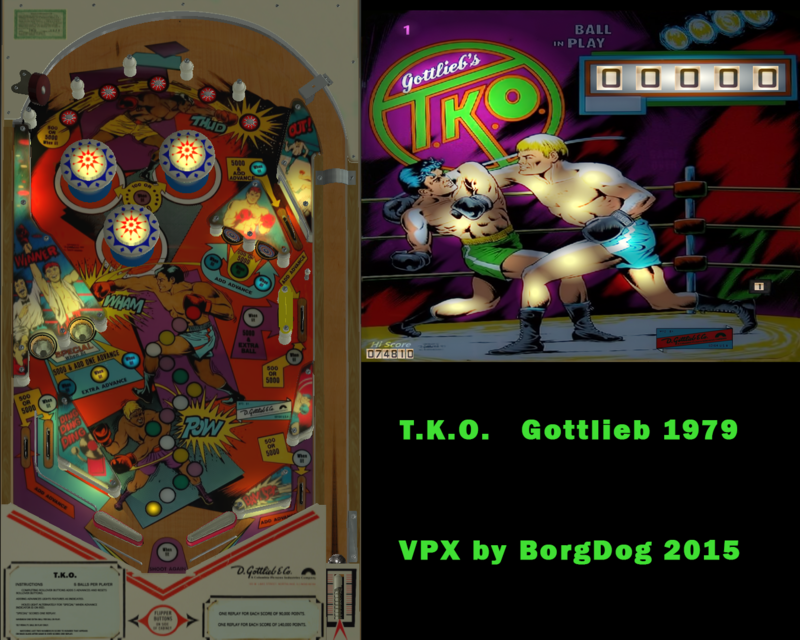 TKO was not the last em made by Gottlieb however, it was the last wedgehead single player. Space Walk was their last em, I have made a vp10 Space walk as well. You're right, my bad. I was watching yours over there, but this was started well before, and rotated in. Spacewallk is also in the mix, along with Kewpie Doll and De-Icer. You know what? I think you posted a pic of TKO, and a wip of Spacewalk. I just checked my folders. When I get it more "final" I'll post download here.